More documents have been uncovered (via FOI requests) that show local law enforcement agencies in California have been operating cell phone tower spoofers (stingray devices) in complete secrecy and wholly unregulated. Sacramento News10 has obtained documents from agencies in San Jose, Oakland, Los Angeles, San Francisco, Sacramento and Alameda County — all of which point to stingray deployment. As has been the case in the past, the devices are acquired with DHS grants and put into use without oversight or guidelines to ensure privacy protections. 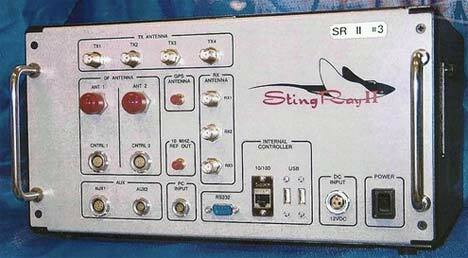 The stingrays in use are mainly limited to collecting data, but as the ACLU points out, many manufacturers offer devices that also capture content. Some of these agencies have had these devices for several years now. Documents obtained from the Oakland Police Dept. show the agency has had stingrays in use since at least 2007, citing 21 “stingray arrests” during that year. This is hardly a surprising development as the city has been pushing for a total surveillance network for years now, something that (until very recently) seemed to be more slowed by contractor ineptitude than growing public outrage. Law enforcement agencies are conveniently choosing to believe a manufacturer’s non-disclosure agreement trumps public interest or even their own protection of citizens’ Fourth Amendment rights. The devices aren’t cheap, either. Taxpayers are shelling out hundreds of thousands of dollars for these cell tower spoofers, and the agencies acquiring them are doing very little to ensure the money is spent wisely. ACLU’s examination of the documents shows that many of the agencies purchased devices without soliciting bids. With Harris effectively locking the market down, buyers are pretty much ensured prices far higher than the market would bear if opened to competition. (Not that I’m advocating for a robust surveillance device marketplace, but if you’re going to spend taxpayers’ money on products to spy on them, the least you can do is try to get the best value for their money…) Using federal grants also allows these departments to further avoid public scrutiny of the purchase and use by circumventing the normal acquisition process. Beyond the obvious Fourth Amendment concerns looms the very real threat of mission creep. These agencies cite combating terrorism when applying for federal funds, but put the devices to use for ordinary law enforcement purposes. The documents cite stingray-related arrests, but since so little is known about the purchase, much less the deployment, there’s really no way to tell how much data and content totally unrelated to criminal investigations has been collected (and held) by these agencies. 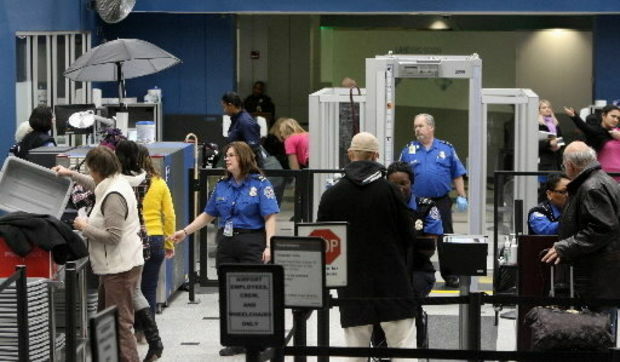 CLEVELAND, Ohio — On the eve of the busiest travel days of the year, a new report says the ability of behavior detection officers at airports to accurately identify a passenger with malicious intent is no better or only slightly better than chance. The Transportation Security Administration has spent $900 million since 2007 to train and deploy guards at security checkpoints to observe whether passengers exhibit signs of fear, stress and deception and may be a risk. 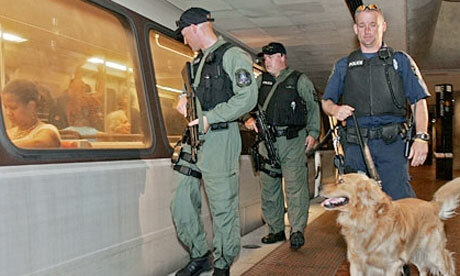 It has 3,000 behavior detection officers at airports nationwide, including at Cleveland Hopkins International Airport. But a new government analysis of findings from over 400 studies conducted over the past 60 years, and interviews with experts in the field, calls into question whether checkpoint officers can reliably spot dangerous passengers by discerning suspect behaviors and catching verbal cues. “The ability of humans to accurately identify deception based on behaviors is the same, roughly — essentially the same as chance — slightly greater than chance — 54 percent,” Stephen Lord, director of the Office of Homeland Security, said in testimony last Thursday before a House subcommittee. TSA Administrator John Pistole, in written testimony to the same committee, defended the use of behavior detection officers. He said looking for anomalous behavior is a common-sense approach used by law enforcement agencies worldwide. Terrorists have used underwear, shoe and toner-cartridge bombs, and liquid explosives, Pistole said, but they all have in common the malicious intent of an actor. “Since we cannot always predict the form evolving threats will take, (behavior detection officers) provide a crucial layer of security,” Pistole said. In 2012 alone, the specially-trained officers made 2,116 referrals to law enforcement, resulting in 30 boarding denials, 79 investigations by law enforcement groups and 183 arrests, he said. The manager in charge of TSA operations at Hopkins referred a call to the agency’s Washington headquarters. There, spokesman Ross Feinstein confirmed only that there were behavior detection officers at the Cleveland airport. For security reasons, TSA doesn’t release details such as how many officers it has stationed at security lanes. “Behavior detection is vital to TSA’s layered approach to deter, detect and disrupt individuals who pose a threat to aviation,” Feinstein said. Rob Kneen, president and CEO of the Traveline agency in Willoughby, said behavior detection officers are a valuable addition to measures such as TSA’s PreCheck program, which lets pre-approved travelers move more quickly through security. “I look at it at the very minimum as a great supplemental support,” Kneen said. Douglas Laird, president of Laird and Associates, an aviation security firm based in Nevada, said behavior detection has potential. Some people are very intuitive and can look at a crowd and pick out someone who poses a threat, said Laird, a former Secret Service agent and chief of security for Northwest Airlines. The problem with airport behavior detection officers, he said — inadequate training. “To even have a hope of being successful, I think you’re looking at several hundreds of hours of training and lots of observation,” Laird said. 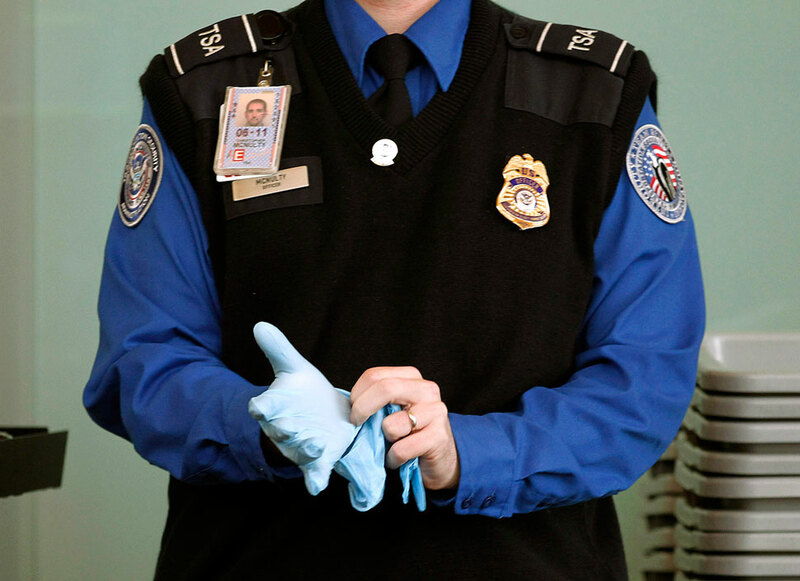 TSA said officers in the SPOT program (Screening of Passengers by Observation Technique) get four days of classroom instruction in behavior observation and analysis and 24 hours of on-the-job training in an airport environment. TSA has about 30 behavior detection instructors, each with significant experience and rigorous training, the agency said. The author of a recent book on aviation security and profiling, Embry-Riddle Aeronautical University Professor Richard Bloom, agreed with the GAO conclusion that there is insufficient validated research to support behavior detection as TSA has implemented it. Bloom likened the debate over behavior detection at airports to the controversy over polygraph tests. A huge “meta-analysis” of numerous studies in the 1980s and a similar examination a decade ago cast doubt on the reliability of lie detector tests, he said. In his book “Foundations of Psychological Profiling: Terrorism, Espionage and Deception,” published earlier this year, Bloom says that lacking hard proof that behavior detection works, it might help to think in terms of techniques used to interpret literature, poetry and philosophy. A Transportation Security Administration supervisor has been indicted for allegedly helping smuggle at least 11 pounds of cocaine through the Virgin Islands, according to federal officials and court documents. A former Transportation Security Administration supervisor has been indicted for allegedly helping smuggle at least 11 pounds of cocaine through the Virgin Islands, according to federal officials and court documents. Former TSA Supervisor Dwight Iva Durant, 44, and Shawn Dowe, 29, both of the Virgin Islands, were charged with participating in a trafficking conspiracy, according to Wilfredo Ferrer, U.S. attorney for southern Florida. Each defendant faces a mandatory sentence of 10 years to life in prison, if convicted. The TSA said Durant no longer works for the agency and that agency officials and the Department of Homeland Security’s Office of Inspector General cooperated in his investigation and apprehension. “The Transportation Security Administration has zero tolerance for unethical behavior in the workplace,” the agency said in a statement. The indictment was unsealed Nov. 19, after being filed Nov. 14 – the same day a trial began in St. Thomas for several baggage handlers at Cyril King Airport, according to court records. The baggage handlers were charged with smuggling drugs in luggage marked with colorful scarves for delivery to recipients in Miami and New York throughout most of 2012, according to their indictment. The indictment against Durant and Dowe alleges that they helped traffic at least 11 pounds of cocaine during the first eight months of 2012. Durant was arrested in St. Thomas on Nov. 19 and made his initial court appearance there Nov. 20, according to prosecutor Ferrer. Dowe was arrested in California and ordered held Nov. 20, according to court records. Both defendants are scheduled to stand trial in U.S. District Court in Miami, where they were indicted. It provides a better vantage point for officers. “You can actually look down in the vehicle and see what’s going on inside the vehicle,” said Lt. Don Boshears. KNOXVILLE (WATE) – The Tennessee Highway Patrol is stepping up enforcement this week over the hot button issue of texting and driving. Special patrols were out Tuesday in Knox County on the lookout for violators. On day one of the two day sweep, they ticketed dozens of drivers. 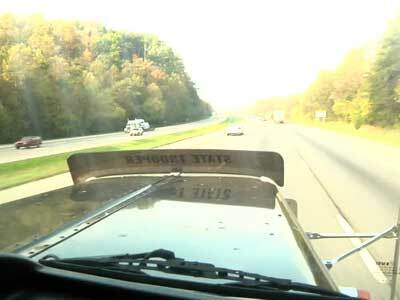 6 News got to ride along with THP during the crackdown on what they call a deadly problem. “People not looking, not paying attention to what they’re doing, not looking at the roadway,” said Sgt. Randall Martin with THP. Troopers drove the front end of a tractor trailer Tuesday to scope out violators along I-40 in East Knox County. “It’s marked up just like a highway patrol vehicle. It’s got lights. It’s got sirens,” said Martin. Martin says drivers oftentimes don’t view it the same as they would a normal patrol car, so they’ll commit traffic violations right in front of it. “They don’t really pay attention to the truck,” said Lt. Don Boshears of THP, who was driving the vehicle. The tractor trailer enforcement has been used in other parts of the state, but this is the first time it’s being used in Knoxville. It provides a better vantage point for officers. “You can actually look down in the vehicle and see what’s going on inside the vehicle,” said Boshears. When in a normal patrol car, it’s hard to be sure that someone is texting. “You may think they’re texting, but if they’re holding it down low, you really can’t see it. But in this vehicle, obviously you can,” said Boshears. During 6 News’ ride along with them, it took just a few minutes for them to ticket a number of texters. “They’ll weave in the lane. They’re change their speed. They’ll speed up and then slow down,” said Boshears. “Right there is one. White Toyota. He was driving with his left hand and had it in this hand and just had it right up here,” said Boshears, who radioed to other officers down the road in patrol cars to pull the driver over. THP is using the program as a way to get drivers’ attention and get their eyes back on the road and off their phones. The special enforcement continues through Wednesday, October 30 and will move around the county. THP says the program has had a lot of success in other parts of the state, so they hope it cuts down on texting and driving in Knoxville as well. When Customs and Border Protection (CPB) first got its drones, the rationale for the acquisition was that the unmanned aircraft would help improve monitoring and surveillance along the U.S.-Mexico border. The Electronic Frontier Foundation (EFF) obtained a report produced by CPB in 2010 that shows the agency has considered equipping its Predators with “non-lethal weapons designed to immobilize” targets of interest. Given the date of the report, it is possible that the weaponization has already taken place. Predators were first developed for the U.S. military in the 1990s, and are designed to fire missiles, such as the Hellfire. It is unclear at this time what kind of weaponization CPB has in mind for the drones. Whatever their plans are, “CBP needs to assure the public that it will not equip its Predators with any weapons—lethal or otherwise,” wrote EFF’s Jennifer Lynch. 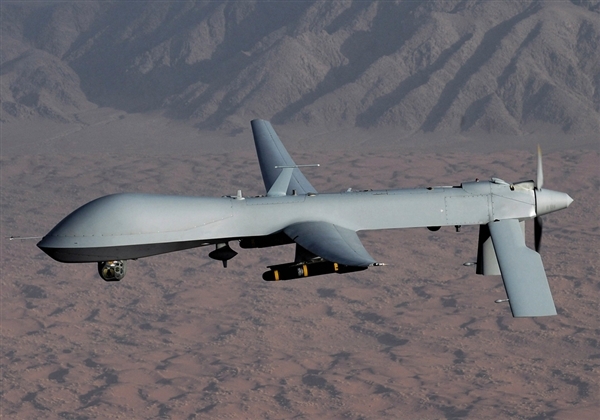 If it doesn’t, Congress should halt the expansion of CBP’s Predator drone program, EFF argues. Sky Deutschland has developed technology to transfer adverts from train windows directly and silently into commuters’ heads. BBDO spokesman Ulf Brychcy told the BBC: “If our customer Sky Deutschland agrees, we will start with the new medium as quickly as possible. Sky Deutschland said it had not made a decision on whether to launch the campaign.